Dear Nikolaos,I hope that all is well with you! We were THRILLED with the video and the photos!!! It is confirmed you are a highly talented photographer!It was exactly what we wanted and more! Take care and hope to see you sometime soon. Warm Regards. Hi Nick.We just download the photos .Are wonderful .We hope to meet again on Hydra.Thank you so much for the pictures – we really love them!!! 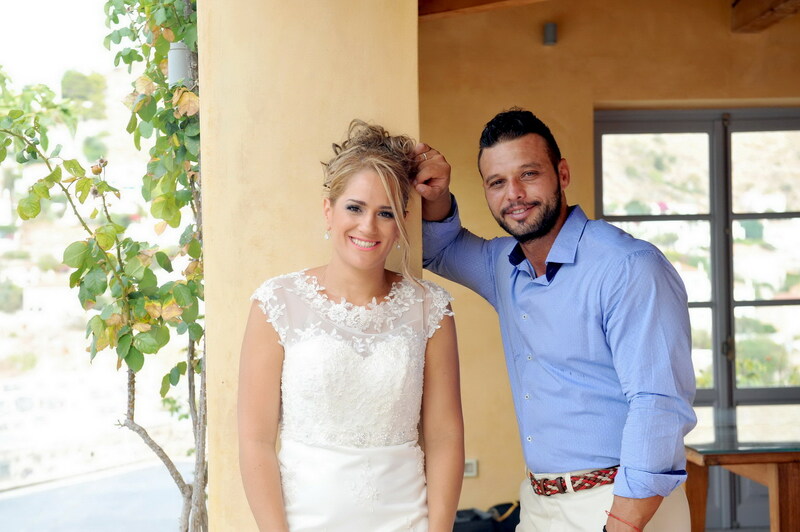 We have a great souvenir of our wedding thanks to Nikolaos’ pictures. He was very professional and kind during all day and night. He made beautiful, natural and sensitive pictures! It was great to share this moment with him. We were really excited when we discovered the quality of his work a very few days after the wedding. Thank you! We would like to thank you Nikolaos and your cooperator from our hearts for the beautiful photo and video memories! We will never forget that except from being professionals you enriched your work with inexhaustible humor which made us feel comfortable as if we were friends pretending models! The result was great! Thank you very much! All the best for you and your work!! Nikolaos, words cannot describe how thankful we are for the exquisite work you did for our wedding and baptism of our daughter. Full of energy, humor and inspiration you captured these special memories for us into a magic album! Your discreetness, your sense of humor and professionalism were the reason we had no shy smiles... the coziness we felt led to unforgettable moments full of happy eyes and touching feelings! We truly thank you for everything! A big thank you for you with your flawless professionalism and your imagination made this special day even more beautiful for us. The consistent perfectionism and love for your work describes you and can be seen in our wedding photos and video. Our cooperation was great, you were there for us about any inquiry we had and with your friendly mood you made us feel very comfortable! Thanks again for everything! We are very happy with our wedding pictures! They are beautiful, idyllic and above all, natural! During the party, Nikolaos was quite “invisible", no huge equipments or spotlights, as we wished. The guests (me and my husband included) fell at ease without any need to pose. That is why the photos perfectly captured the moment. And the whole process with Nikolaos went smoothly which is quite important since planning a wedding can be quite stressful! Congratulations and thank you for everything! Nick, we would like to thank you and your cooperator for the lovely photos and wonderful videos! We will always remember the happiest day of our lives through these beautiful albums. The next day photo shoot was fantastic thanks to you who made us feel comfortable and we had a nice natural result! Thanks again for everything! We would like to thank you very much for the perfect night you covered on the most beautiful moment of our lives. From the first time we met, your humor and positive character made us feel very comfortable. We had a great time on both wedding and baptism of our daughter. Your work, digital album and video were amazing.. You were prompt to fulfill every wish we had. Thank you very much from our hearts. Congratulations to you and your team! See you on the second baptism!! Nikolas, I was thrilled with three points of your work! First of all, I was impressed by your discreetness...you were like ''invisible'', only whispering some advice making me less nervous and the photos total natural. Our cooperation was perfect and is obvious at the result, even though our demands were high as we had at the same time our wedding and the baptism of our twins! And of course, the positive energy you and your team had combined with your professionalism! 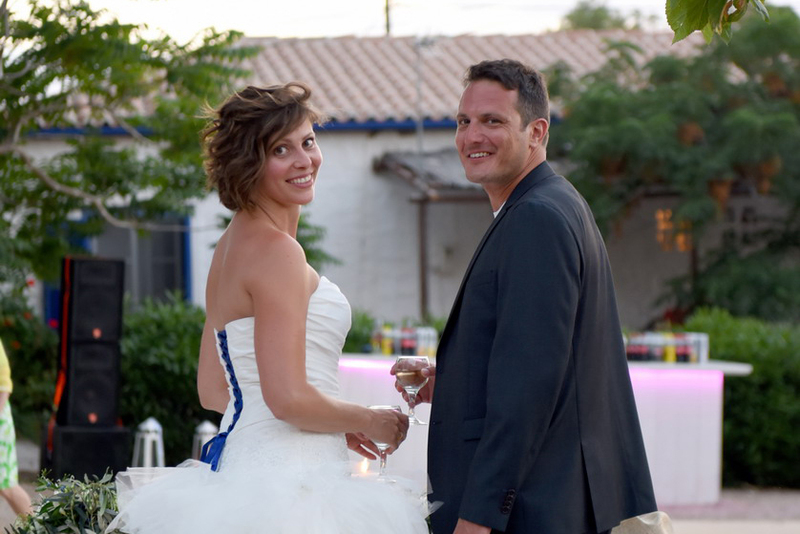 You were pleasant and friendly so the guests and we felt very comfortable and our fairytale was captured perfectly! Thank you very much! !